The discount deals for this year’s Black Friday are in full swing. Since Black Friday is almost here, consumers are pouring into online and street retailers to match and compare discount offers. The highlights of any Black Friday sale is the portion with deep discounts on tech-related products. A major customer-favorite area here is discount deals for television sets. Although there are still a few days to go before it is officially Black Friday, most of the expected television deals are already here. 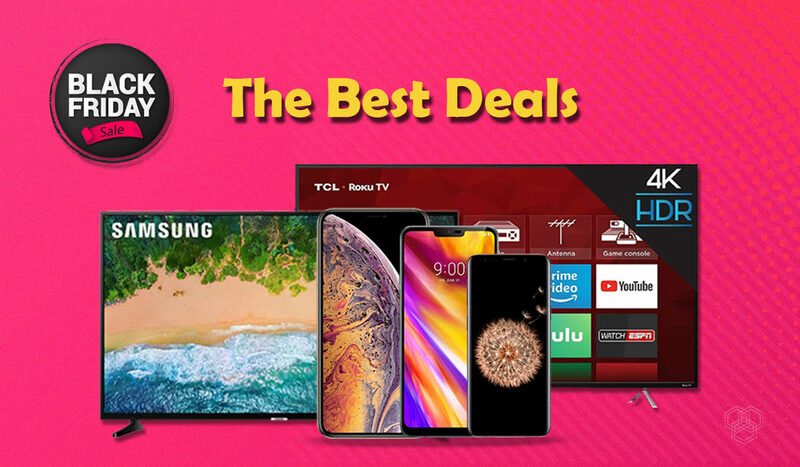 The best deal in town when it comes to Black Friday TV deals of 2018, is the LG G8 OLED 4K TV. This TV is currently available on Amazon for $1696.69 helping you save $500. At BJ’s for their members, this TV is available for $1349.99. This is the best TV of the deal, and at its lowest price right now, this is the best TV deal of the year as well. 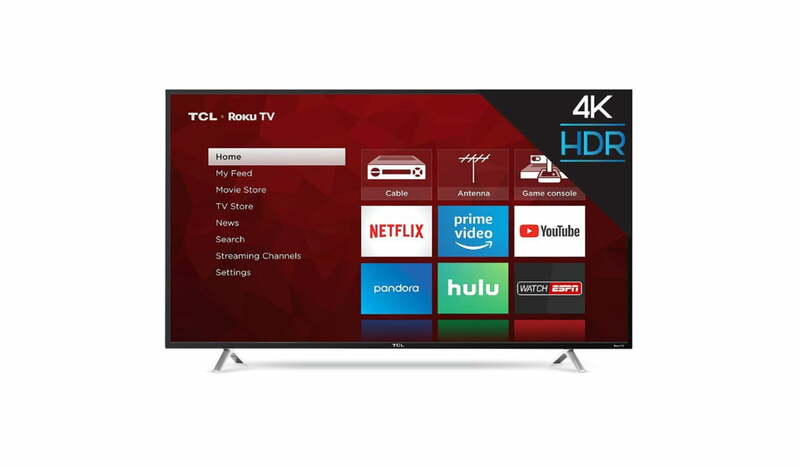 Another jaw-dropping Black Friday TV deal is the TCL 43-In. Roku 4K Smart TV (2018) for $279.99 on Amazon. Although this one is a bit cheaper than the S5 model but the picture quality it presents cannot be beaten. Samsung NU8000 55-In 8-Series Smart 4K TV is available for $747.99 on Amazon helping you save $150. Although the starting price is a bit high, getting a good quality Samsung TV within range is a feat this deal can help you reach. The 2017 version of the TCL 55-In Roku 4K Smart TV is also available on Amazon for a discounted price of $349.99. It is virtually impossible to find a better deal on an entry level big screen TV. This was one of last year’s best budget TVs, and its affordability made better by this deal makes it all the more ideal. 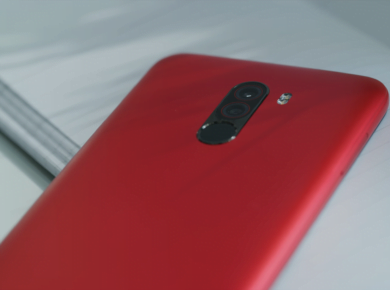 The 2018 version of TCL 65-In. Roku 4K Smart TV of the 6 series is available on Best Buy for a discounted price of $899.99. This is an exclusive Best Buy deal and the absolute favorite one this year. It combines the Roku platform with amazing picture quality and a pristine HDR for an affordable price. Other than Best Buy, the deals are only falling until $999 so Best Buy is helping customers save $100. Samsung 50-In 6 series 4K TV 2018 version is available after an astonishing discount of $272 for only $327.99. It is extremely rare to be able to purchase a 50-In Samsung TV under $350. It being 4K makes this deal all the more attractive. The holiday season is a great opportunity to get better deals on something as basic as a mobile phone. Although all the mobile phone deals are not out yet, some are here. Out of these, the ones available at Best Buy remain the most economical. Motorola Moto G6 released in 2018 is available for $200 at Best Buy. Even at $250, it would have been a sure shot, but with $200, it is a steal. LG G7 ThinQ can be bought on Best Buy for Black Friday with up to a 50% discount on credit. Activating the phone for Sprint’s service makes it eligible for almost a $432 save on service. Samsung Galaxy S9, Note 9 and S9 Plus are all available for Black Friday on Best Buy for a $300 discount. iPhone XS, iPhone XS Max, and iPhone XR will all be available on Best Buy with discounts of $15o. Getting this deal depends on activation with AT&T, Verizon or Sprint. Google Pixel 3 or 3 XL are both available on Best Buy for a $200 discount. This deal will be offered with an in-store Sprint activation on Thanksgiving day. So which one are you buying?